Metrics that matter. Insights that illuminate. Powerful data on your site and your streams. Is my site accomplishing the goals I have for it? Is my online audience growing for my site and my streams? Are users engaged with my content? How do I compare to other stations like mine? Where should I be spending more time and energy? We will help you get accurate data on your digital performance by providing easy-to-use reporting tailored for public media, with access to Google Analytics Premium, Chartbeat, and Triton. We also go beyond the data to share actionable insights, digital best practices, A/B testing, and training on getting the most out of analytics. See the latest analytics updates. Our Station Analytics site will become the hub for digital measurement and is the best way to tag your site(s) starting today. Our tagging system provides accurate, comprehensive data everyone can trust. We've built cross-domain tracking and event tracking into the system, so you get data that isn't easy to get from the default Google Analytics setup. It's also the easiest way to deploy and maintain site tagging, via one line of code on your pages that you'll never have to change. Get started by registering at Station Analytics. A standard implementation of Premium typical costs over $100,000, and we are happy to include Premium at no additional cost to stations. A standard implementation of Premium typical costs over $100,000, and we are happy to include Premium at no additional cost to stations. See our site reporting FAQ or learn more about Premium. Chartbeat is the perfect real-time companion to the deeper data you get from Google Analytics about longer-term trends. Learn more or read the Chartbeat FAQ. 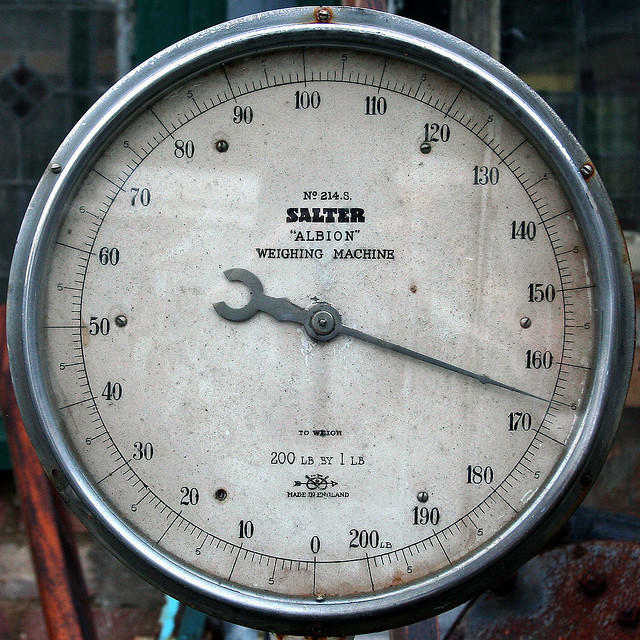 Know how many people are listening to your stream so you can better monetize it. Learn more or read the Triton FAQ. See the latest analytics news and updates on this site. 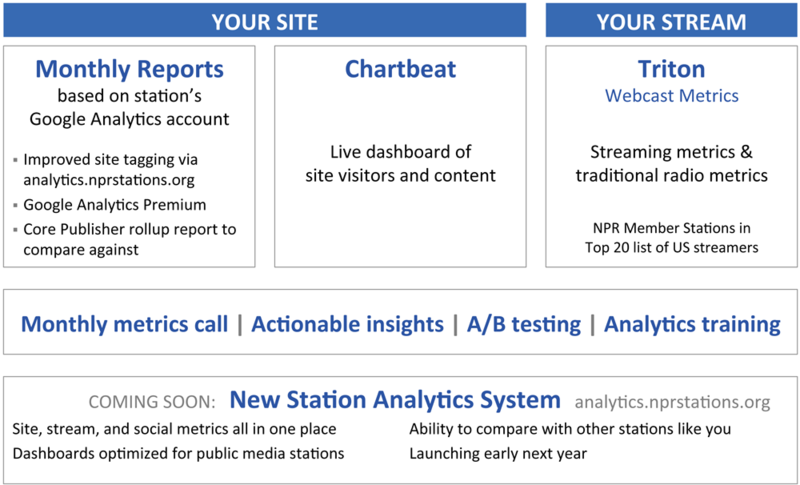 If you missed a training webinar or a monthly metrics call, you can find presentations on the Analytics page on nprstations.org.